Flood City Flooring LLC will host a Ribbon Cutting Ceremony on Friday, March 8, at 2 PM for their grand opening at 225 Washington Street, Johnstown, PA. Please plan to join us in celebrating this new business! Flood City Flooring LLC now has their showroom open to the public at 225 Washington Street, Johnstown. Justin and Christina are proud to create local jobs to help the community prosper and provide customers with excellent service at an affordable price. Monday, February 18th, international electronics manufacturing services (EMS) company Kitron started operations at its newly acquired site in Windber, Pennsylvania. The new location complements its existing facility in Johnstown, Pennsylvania, and significantly strengthens Kitron’s presence in the area. Kitron acquired the Windber facility from API Technologies Inc., adding 115 employees to its US staff. “The transaction significantly strengthens our position in the US market, particularly within the defense market sector. We can now support customers who have wanted us to expand our presence in the United States. We see great opportunities from the business combination, and we look forward to further increasing our presence in the local community”, said Jason Galiote, Managing Director, Kitron. 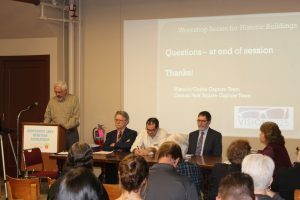 Two Vision2025 capture teams have announced plans for a “cafeteria style” public workshop, designed to assist historical building owners with the challenges and opportunities of reusing their buildings. “Historical Building Reuse Workshop #2” will take place from 4:00-7:00 p.m. Tuesday, December 11, at the Johnstown Heritage Discovery Center at Broad Street and Sixth Avenue in Cambria City. Workshop participants will be able to pick and choose among the stations and spend as much time as needed at those stations, addressing their individual questions and concerns. Workshop #3 will look at a specific building as a case study in how multiple uses can be included within a single historical building. Workshop #4 will present opportunities to potential developers and investors. To learn more about the event, visit Johnstown Area Heritage Association’s website, today! Funding to underwrite the costs of the workshops has been provided through a PITTchFEST ’18 award and grants through Vision2025. The PA CareerLink – Cambria County will be holding a grand opening event of their new location on Thursday, October 25th at 11:00 AM. The new location is in the Cambria County Library located at 248 Main Street in downtown Johnstown. Attendees will be able to take a tour of the new location. This Lunch & Learn will be held at JARI Center (160 Jari Drive, Johnstown, PA) from 12:00 PM to 1:15 PM. Click here to register by October 29th. No shows on the day of the event will be billed. 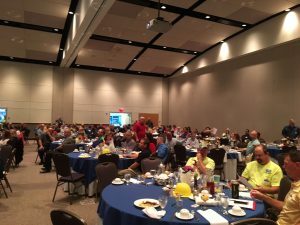 On Tuesday, October 2nd, nearly 150 individuals completed eight hours of health and safety training and earned 0.8 continuing education credits toward their safety committee and professional certifications at the Alleghenies Regional Safety Conference held at the Frank J. Pasquerilla Conference Center. 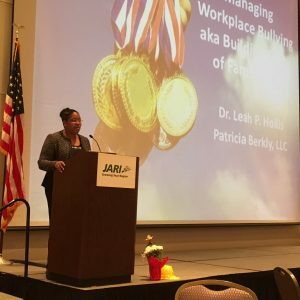 Thirteen health and safety experts donated their time to offer high-quality workshops on a variety of topics. The information presented will help participants create a safer and healthier work environment. Many thanks go to the sponsors, speakers and exhibitors for their assistance in making this event a huge success. This year's sponsors include: Titanium - Highmark Blue Cross Blue Shield; Gold - Damin Printing Company, North American Höganäs and PHOENIX Rehabilitation and Health Services; Silver - Greater Johnstown Career & Technology Center; and Bronze - S.A. Comunale. For a list of in-kind contributors, vendors and speakers, click here. Also, a special thank you to the 2018 conference committee: Lauren Brewer, JARI; Daren Cuppett, Ron Donaldson and Kathy Garris, Lockheed Martin AeroParts; George Erisman, Galliker Dairy; Paul Seitz, PHOENIX Rehabilitation and Health Services; Dave Johnson, North American Höganäs and Renee Podlucky. 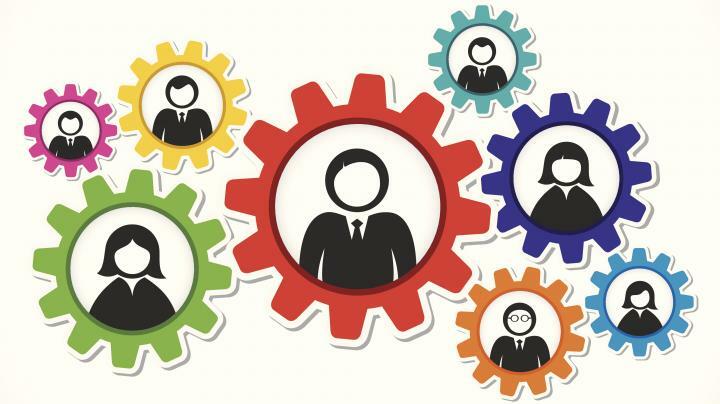 JARI is facilitating Open Discussion Forums for defense industry employees displaced in 2018. The purpose of the forums is to provide re-employment and support services to participants as they transition into employment. We invite employers and agencies to attend one of the meetings to discuss support services and job opportunities. Also, we could utilize the skills of human resource professionals and subject matter experts to review and offer tips on resumes, job search resources and interviewing skills. Participants include individuals that have experience in the following occupations: human resources, graphic design, contract accounting, risk management, contract administration, infrastructure analysis, financial analysis, executive assistance, administrative assistance, contracts administration and government liaison. Each participant has skills, education and experience that may transfer into a number of different industries. The group meets once a week at the JARI Center in Richland. Meeting days and times are flexible. If you are interested in providing assistance, please contact Debi Balog, Workforce Development Director at 814.262.8366 or via e-mail at dbalog@jari.com. In Eight Short Weeks You Could Be On The Way To Launching A Tech-StartUP! If you have a new, tech-based business idea or you are developing an innovative product, process, or software application, you’ll want to check out this program! As part of the Startup Alleghenies initiative, the BF TechCelerator@Johnstown is providing a business startup accelerator, along with one-on-one mentoring sessions, for emerging tech-entrepreneurs. You’ll come away from this experience with a viable business model as well as a list of networking contacts and a concrete path forward. However, perhaps the most important thing you will gain is the confidence that comes from knowing if it’s the right time for you to start your own tech-business – or not. Don’t miss out on this opportunity! Not only will you receive up to $1,000 to help with your initial accounting, legal, or customer discovery costs, you will also have the chance to pitch your business idea to a panel of judges at the completion of the eight weeks. If you win, you could be awarded up to $10,000 in seed funding to help get your startup UP and running. Not sure if a TechCelerator is right for you? 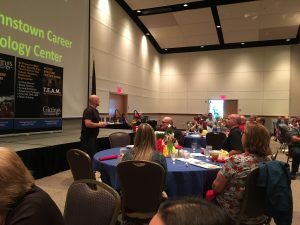 Check out this video of a recent graduation event held in Altoona. On Tuesday, May 22nd, Lynn Rovan, Barnes Saly & Company, will present QuickBooks Online. Attendees will receive a general overview of QuickBooks while learning to select company and user preferences and the setup of chart of accounts. Attendees will also learn about invoicing and payments, billing and paying bills, bank reconciliation and reporting. This Lunch & Learn will be held at JARI Center (160 Jari Drive, Johnstown, PA) from 12:00 PM to 1:15 PM. The cost to register is $5 per person and lunch will be provided. Please click here to register by May 21st. No shows on the day of the event will be billed. The 28th annual Showcase for Commerce will be held May 30 through June 1 in downtown Johnstown. As always, there are great opportunities for developing relationships with decision makers at all levels over the 3-day event. The 24th annual BAE Systems/Showcase for Commerce golf outing will be held on May 30 at Sunnehanna Country Club. If you are interested in registering for one of the few slots remaining, please contact Cindy Saylor at csaylor@jari.com or 814.262.8369. For a complete agenda of Showcase events, click here. We look forward to seeing you at Showcase!